Bob Lloyd Schieffer (born February 25, 1937) is an American television journalist. He is known for his cool and capable moderation of presidential debates. Schieffer is one of the few journalists to have covered all four of the major Washington national assignments: the White House, the Pentagon, United States Department of State, and United States Congress. His career with CBS has almost exclusively dealt with national politics. He has interviewed every United States President since Richard Nixon, as well as most of those who sought the office. Schieffer has been with CBS News since 1969, serving as the anchor on the Saturday edition of CBS Evening News for 20 years, from 1976 to 1996, as well as the Chief Washington Correspondent from 1982 until 2015, and moderator of the Sunday public affairs show, Face the Nation, from 1991 until May 31, 2015. From March 2005 to August 31, 2006, Schieffer was interim weekday anchor of CBS Evening News, and was one of the primary substitutes for Katie Couric and Scott Pelley. Following his retirement from Face the Nation, Schieffer has continued to work for CBS as a contributor, making many appearances on air giving political commentary covering the 2016 presidential election. Schieffer is currently releasing episodes of a new podcast, "Bob Schieffer's "About the News" with H. Andrew Schwartz". Schieffer has written three books about his career in journalism: Face the Nation: My Favorite Stories from the First 50 Years of the Award-Winning News Broadcast, This Just In: What I Couldn't Tell You on TV, and Bob Schieffer's America. He co-authored a book about Ronald Reagan, The Acting President, with Gary Paul Gates, that was published in 1989. In his memoir, This Just In, Schieffer credits the fact he was a beat reporter at CBS for his longevity at the network. Schieffer has won virtually every award in broadcast journalism, including eight Emmys, the overseas Press Club Award, the Paul White Award presented by the TV News Directors Association, and the Edward R. Murrow Award given by Murrow's alma mater, Washington State University. Shieffer was inducted into the Broadcasting & Cable Hall of Fame in 2002, and inducted into the National Academy of Arts and Sciences Hall of Fame in 2013. He was named a living legend by the Library of Congress in 2008. Schieffer is currently serving as the Walter Shorenstein Media and Democracy Fellow at Harvard Kennedy School's Shorenstein Center. Schieffer was born on February 25, 1937, in Austin, Texas, to John Emmitt Schieffer and Gladys Payne Schieffer, and grew up in Fort Worth, Texas. He is an alumnus of North Side High School, and Texas Christian University (TCU), where he was a member of the Air Force Reserve Officer Training Corps and the Phi Delta Theta fraternity. The College of Communication at TCU was renamed in Bob Schieffer’s honor in 2013. After graduating from TCU, Schieffer served in the U.S. Air Force as a public information officer stationed at Travis Air Force Base and later McChord Air Force Base. He was honorably discharged and joined the Fort Worth Star-Telegram as a reporter, with one of his key assignments being a trip to Vietnam to profile soldiers from the Fort Worth area. At the Star Telegram, he received his first major journalistic recognition on November 22, 1963. Schieffer married Patricia Penrose Schieffer in 1967. They have two daughters and three granddaughters. Shortly after President Kennedy was shot in Dallas, Texas, while in the Star-Telegram office, he received a telephone call from a woman in search of a ride to Dallas. The woman was Marguerite Oswald, Lee Harvey Oswald's mother, whom he accompanied to the Dallas police station. He spent the next several hours there pretending to be a detective, enabling him to have access to an office with a phone. In the company of Oswald's mother, Marguerite and his wife, Marina, he was able to use the phone to call in dispatches from other Star-Telegram reporters in the building. This enabled the Star Telegram to create four "Extra" editions on the day of the assassination. 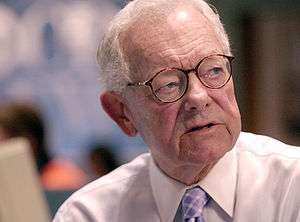 Schieffer later joined the Star-Telegram's television station, WBAP-TV in Fort Worth before taking a job with CBS in 1969. Schieffer was anchor of the CBS Sunday Night News from 1973 to 1974, the CBS Sunday Evening News in 1976, and of the Saturday Evening News broadcast for twenty years from 1976 until 1996. He also anchored the weekday CBS morning show at the time called "Morning", which was titled in accordance to the day of the week (Monday Morning, Tuesday Morning, etc.) from 1979 to 1980. One of his best known roles was as moderator of the Sunday public affairs show, Face the Nation, from 1991 until May 31, 2015. Schieffer was also known for his reporting duties. Between 1970 and 1974, he was assigned to the Pentagon. From 1974 to 1979, he was the White House correspondent for CBS, and in 1982 he became Chief Washington Correspondent, in addition to his anchor duties. In the wake of Dan Rather's controversial retirement, he was named interim anchor for the weekday CBS Evening News. He assumed that job on March 10, 2005, the day following Rather's last broadcast. Under Schieffer, the CBS Evening News gained about 200,000 viewers, to average 7.7 million viewers, reversing some of the decline in ratings that occurred during Rather's tenure; while NBC Nightly News was down by 700,000 viewers, and ABC's World News Tonight lost 900,000. Schieffer closed the gap with ABC's World News Tonight when co-anchor Bob Woodruff was injured in late January 2006. Schieffer made his last CBS Evening News broadcast on August 31, 2006, and was replaced by Katie Couric. On Couric's second broadcast, he returned to provide segments for the evening news as chief Washington correspondent. Schieffer was also a substitute anchor for Couric and Scott Pelley when he became anchor of the evening news in June 2011. On October 13, 2004, Schieffer was the moderator of the third presidential debate between President George W. Bush and Senator John Kerry in Tempe, Arizona. On October 15, 2008, Schieffer moderated the third presidential debate between Senator Barack Obama and Senator John McCain. Schieffer also moderated the third debate of the presidential candidates in 2012, between President Obama and former Massachusetts Governor Mitt Romney, on October 22, in Boca Raton, Florida. In 2013, Schieffer won the Walter Cronkite Award for Excellence in Journalism. On April 8, 2015, Schieffer announced his intention to retire as host of Face the Nation while speaking at his alma mater, Texas Christian University, in Fort Worth. Schieffer departed after working in journalism for 52 years, 46 of those years with CBS. On the April 12 broadcast of the program, he announced that John Dickerson, the current political director for CBS, will succeed him, beginning in June 2015. As he prepared to retire from Face The Nation, Schieffer reflected on the acclaim that came his way during the latter stages of his career. "The interesting thing about my life — a lot of the recognition I got was after most people retired,” he told the New York Times, going on to add, "I think that people just became familiar with me just because I had been there and others had come and gone." Schieffer's final broadcast as moderator of Face the Nation was on May 31, 2015. Since leaving the anchor desk at CBS Evening News in 2006, Schieffer has entertained his longstanding interest in songwriting by collaborating with musicians in New York and Washington, D.C. His latest efforts have resulted in four songs with the Washington area band, Honky Tonk Confidential, all of which appear on their CD, Road Kill Stew and Other News (with Special Guest Bob Schieffer). Schieffer sings "TV Anchorman", and wrote the lyrics for the other songs. Schieffer married Patricia Penrose in 1967 and has two daughters. Schieffer is the older brother of Tom Schieffer, a friend and former business partner of President George W. Bush, who was appointed U.S. Ambassador to Australia from 2001 to 2005 by President Bush, and served as U.S. Ambassador to Japan from 2005 through 2009. On March 2, 2009 Tom Schieffer announced he was forming an exploratory committee that will allow him to seek the Democratic nomination for Governor of Texas. Schieffer has a sister, Sharon Schieffer Mayes, who is a retired teacher and school administrator who taught science for 17 years before becoming the Vice Principal of Dunbar High School in Fort Worth, Texas. Sharon Mayes eventually became the high school principal at Keller High School at a time when only 2 percent of the principals in the largest high schools in Texas were women. Schieffer is a survivor of grade III bladder cancer. He was diagnosed in 2003 and has been cancer-free since 2004. He has been diagnosed as having type 2 diabetes, and is on insulin therapy. After fellow CBS newscaster and Texan, Dan Rather, was switched from the White House beat to hosting the documentary show, CBS Reports, in 1974, the October 13, 1974 edition of the Doonesbury comic strip featured a joking fantasy scene in which Schieffer, his successor, haltingly comments on the transition: "It was the affiliates – they just couldn't take him. I mean let's face it, Dan wasn't exactly MR. TACT!. I dunno.... Maybe it's just as well in the long run, I mean, you know? Anyway, this is Robert Schieffer at the White House...." (Schieffer notes that "The strip was right on except for one thing. My real name is Bob, not Robert"). Schieffer had a cameo appearance beside Harrison Ford in the 2010 film, Morning Glory, with CBS News colleague, Morley Safer and Chris Matthews at MSNBC. 1 2 3 4 5 "CBS Biography for Mr. Bob Schieffer". Retrieved 28 June 2016. ↑ Taylor, John H. (15 October 1989). "Good Show, President Reagan : THE ACTING PRESIDENT". Los Angeles Times. Retrieved 25 September 2011. ↑ "Paul White Award". Radio Television Digital News Association. Retrieved 27 May 2014. ↑ "Broadcasting & Cable Press Release for Mr. Bob Schieffer". 17 November 2002. Retrieved 28 June 2016. ↑ Bates, Matthew (19 April 2006). "CBS News Anchor Bob Schieffer Proud of Air Force Past". Air Force Print News. Retrieved 28 June 2016. ↑ Youngman, Clayton (19 April 2016). "Schieffer Family Establishes Full Ride TCU Scholarship". TCU Department of Journalism. Retrieved 28 June 2016. 1 2 Krinsky, Alissa (August 25, 2008). "So What Do You Do, Bob Schieffer, Chief Washington Correspondent, CBS News?". Mediabistro. Retrieved December 25, 2014. ↑ ""Face the Nation" host Bob Schieffer to retire this summer". Face the Nation. CBS News. April 8, 2015. ↑ John Dickerson Will Succeed Bob Schieffer on ‘Face the Nation’ Poynter.org Retrieved April 12, 2015. ↑ Doonesbury comic strip. "Doonesbury by G.B. Trudeau". gocomics.com. Retrieved 25 October 2011. 1 2 3 4 5 6 "Bob Schieffer". CBS News. June 17, 2010. Wikimedia Commons has media related to Bob Schieffer.